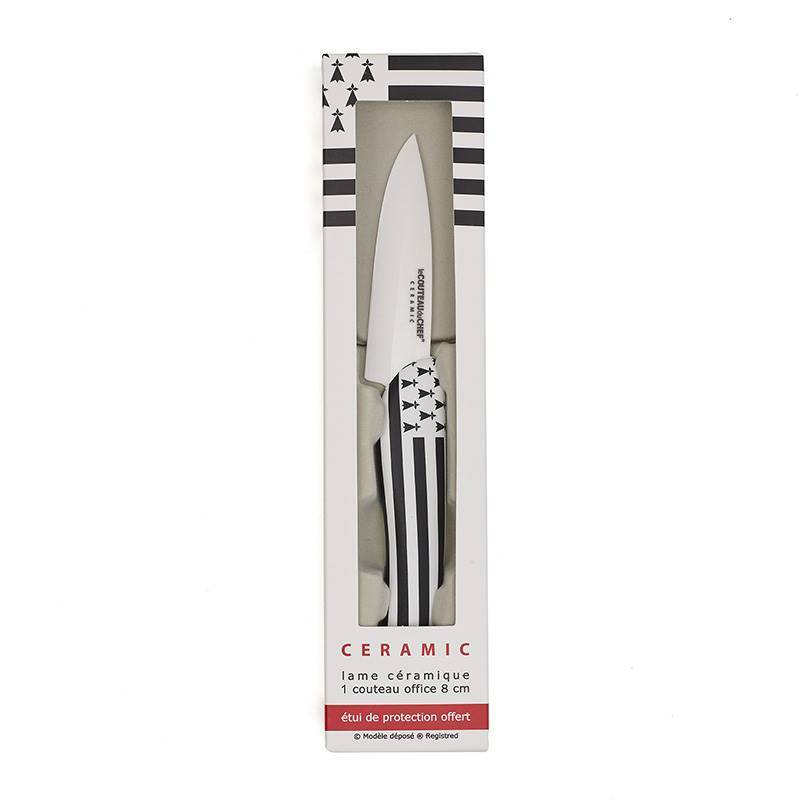 Manufactured in a superior quality ceramic containing a high percentage of zirconium oxide, the blade of this paring knife offers a hardness very close to the one of diamonds and an outstanding and almost hardwearing sharp edge. 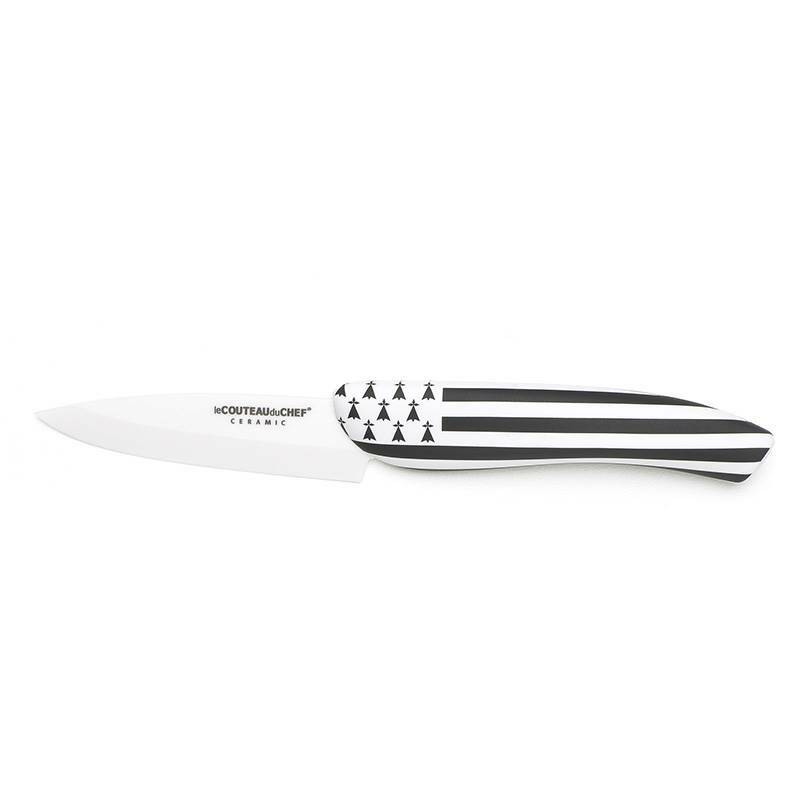 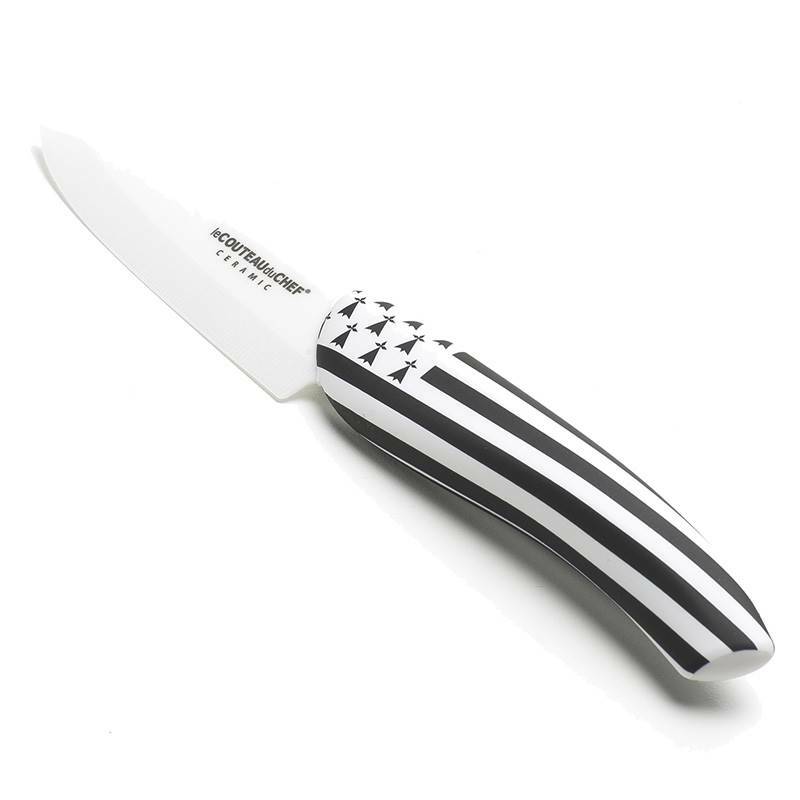 The white ceramic blade kitchen knives from the Flag collection offer a whole range of knife’s handles bearing colours of different countries and regions. 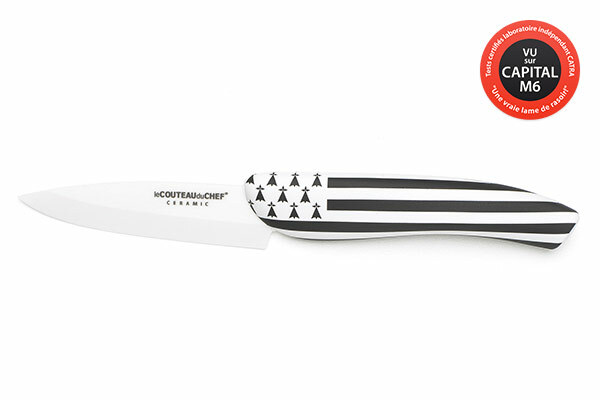 The famous Brittany flag will surely seduce all Brittany fans! 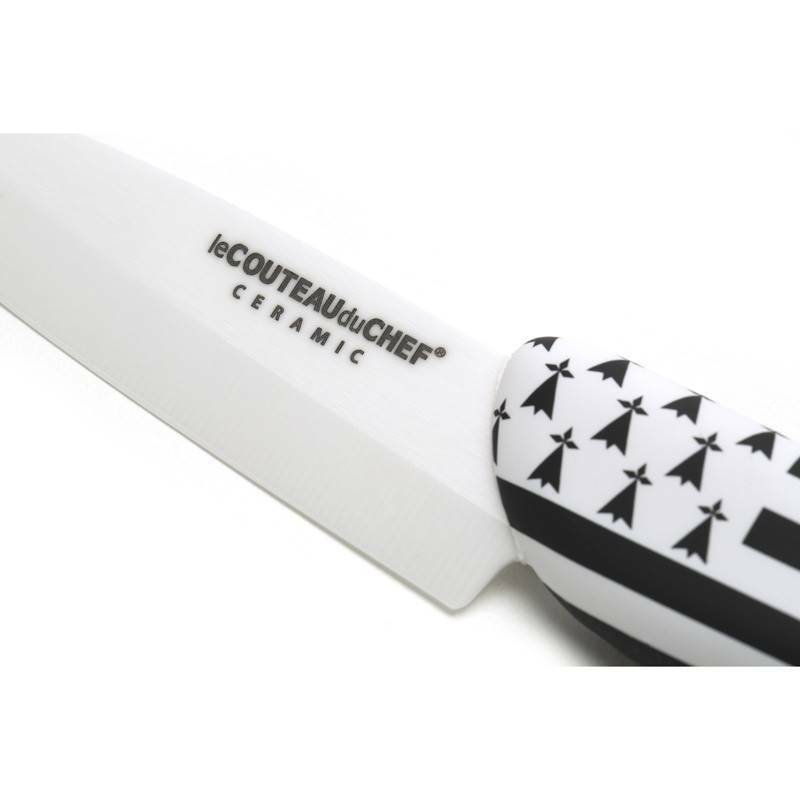 Pleasant to look at, this paring knife, which design is so French, is also very light and easy to use.